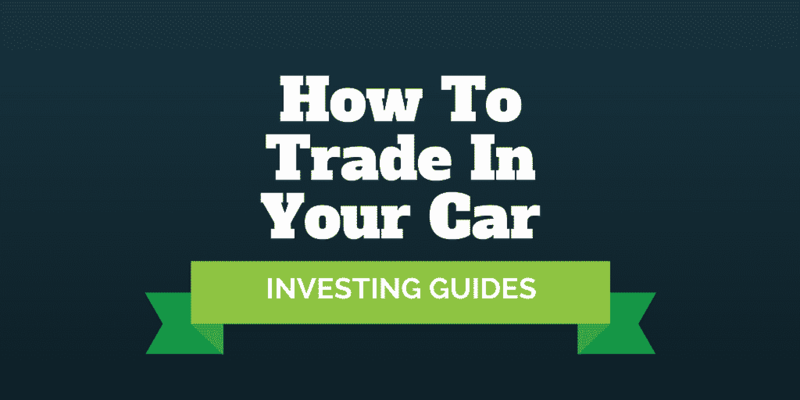 Here are a few tips to help you get a better deal when you are trying to figure out how to trade in your car economically. The first thing to keep in mind is that when you trade in your old car for a new one, you will be setting out on a voyage to negotiate two prices at your local dealership: the sale price of your old car and the purchase price of the new car. If you are not yet a negotiation wizard, Stuart Diamond’s New York Times Bestseller, Getting More, is a classic book to help you get the best deal. Brushing up on your negotiation skills is almost a prerequisite before you step onto a dealership lot because any car salesperson worth their salt will have fine-tuned their haggling skills and will gladly sell you a new car at a premium or buy your old car at a discount. With your negotiation skills honed, your next steps will be to compare prices for your new car, find out the value of your old car, shop around for quotes, and drive away in your new wheels! What If I Have An Auto Loan? 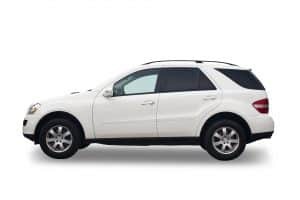 To find out what your used car is worth, first gather basic information about the make and year of your car as well as mileage, engine size, and extra features, such as leather seating, sunroof, navigation system, and sound system. Most online pricing guides will first ask you to enter your zip code because car prices vary nationally by location. If you are looking to trade-in your car – meaning buying a new car and selling an old one as part of a single transaction – you will pay a price to the dealership for the convenience. However, if you are willing to shop around a bit, you can look to websites like Craigslist and LetGo or even Facebook’s marketplace to find private party deals that keep more money in your pocket. Before trekking down to your local dealership, gather the information you will need to finalize a deal. While dealerships are generally a convenient way to trade in your car, you will probably run into one roadblock that slows you down: the car inspection. Most dealers will want to conduct a physical inspection of your car before providing you a quote so consider online quotes as simply estimates. In general, dealerships will quote you prices below what you see online. One way to boost your chances of landing a good deal is to trade in your car on the last day of the month, if possible. Dealerships often have month and quarter-end quotas they try to hit so you may be able to squeeze a little extra out of them then because they are motivated to get the deal done to hit their quota target. Depending on what kind of car you drive, the trade-in deal you get will be easier or harder to negotiate. If you drive a Honda Accord, for example, which is generally available and sold widely among many dealerships, you will have the upper hand during the negotiation phase because you can walk away if the dealer doesn’t give you an inch during the bargaining process. However, if the car you want to buy is only available from one dealership in your city then the dealer knows you don’t have many options if you really want the new car, and will probably try to squeeze more money out of you. Remember that the purchase of your new car is only one half of the trade-in negotiation process, you will need to come to terms on the sale price of your old car too. You may feel a little worn down after coming to an agreement on the purchase price of your new car, so feel free to take a break for a few minutes, walk outside and get some fresh air before returning to the table to discuss the sale price of your old car. Sometimes, you will discuss the sale price of your old car first before discussing the purchase price of the new car. Either way, it is best to take a break between conversations. And it doesn’t hurt to let the dealer know that, even though the price of one car has been agreed, the terms of the next deal need to be to your satisfaction before completing the overall trade-in. A key to good negotiation is to know what your starting offer will be and what your reserve price is too. If the dealer won’t pay more than your reserve selling price, consider walking away. You might find that they will call you back before you reach the exit! Similarly, when you are negotiating the purchase price of your new car, you will want to have the estimated price from an online pricing guide in mind as well as your opening low-ball offer, and the most you are willing to pay. Don’t forget that taxes and fees will need to be paid on the agreed upon price. If you are looking to trade in your car and still have an auto loan outstanding, you will need to do a little more financial gymnastics than simply offsetting the sale price of your old car against the purchase price of your new car to arrive at the trade-in value. Depending on whether your car is worth more or less the loan balance remaining, a credit or debit will be applied respectively to the sale price of your new car. The bottom line is if you owe more than your car is worth then you will have to pay the difference before completing the trade-in but if your car is worth more than you owe, the difference will be subtracted from the sale price of your new car. If your loan balance is greater than the value of your old car, the dealer may ask you to pay the difference at the time of the trade-in or invite you to roll the difference into a new loan. Beware of this offer! If you were to roll the amount into a new loan, you will start paying interest on it so, over time, you will end up paying even more. If you are in the lucky position that your old car is worth more than the outstanding loan balance, the trade-in calculation runs a little more smoothly. All you need to do is subtract the sale price of your old car from the purchase price of your new car. The dealer will pay you the difference directly or count it against the sale price of the new car. If the sale price of your old car is rolled into the purchase price of the new car, you will see a trade-in credit listed in your new car sales agreement. And if the thought of visiting your local car dealership gives you a headache, you may want to check out a company like Carvana, which provides financing for used cars, a marketplace to buy cars, and helps you to sidestep the haggling process.